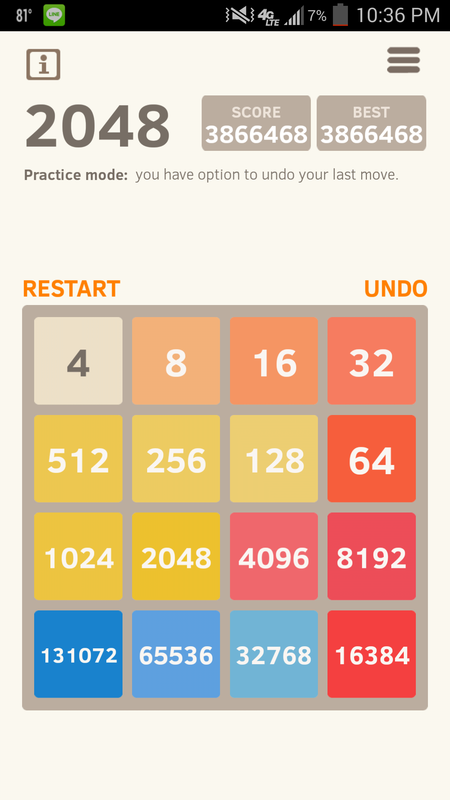 I was reading your article on the game 2048 and saw that you said the biggest tile someone had made on 2048 was only the 16,384 tile. However, using practice mode to undo only situations where the tile spawns in a spot that would require me to lose I was able to create the 131,072 tile and get the “max” score. Its “max” because the exact numbers depend upon getting mostly the 2 tiles to spawn instead of 4’s so that you get little bits of points for every combination of 2’s. Hope this helps or you find it interesting!